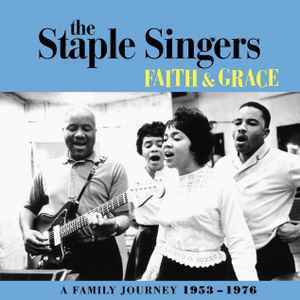 Deluxe package contains a 56-page booklet featuring an annotated discography, new liner notes, never-before-seen photos, and a Forward by Mavis Staples. This compilation ℗ 2015 Concord Music Group, Inc. except: Disc 1, tracks 1 and 2 courtesy of Savoy Records. Under license from Malaco, Inc; Disc 3, tracks 5 and 6 courtesy of Tuff City, and tracks 7-17 under License From Sony Music Commercial Music Group, a Division of Sony Music Entertainment; Disc 4, track 18 Produced Under License From Rhino Entertainment Company, a Warner Music Group Company and track 19 Produced Under License From Warner Bros. Records Inc.